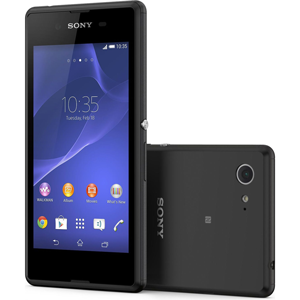 The Sony Xperia E3 is a 2014 low-range Android smartphone. It has a 4.5" IPS display with a resolution of 480 x 854. It's powered by a Snapdragon 400 quad-core 1.2GHz processor and 1GB of RAM. Other features include 4Gb internal storage, 5MP camera and 2330mAh battery. On the software front, it features a new "shake to start" app that launches a pre-chosen app at the flick of a wrist. All times are GMT +3. The time now is 13:29.